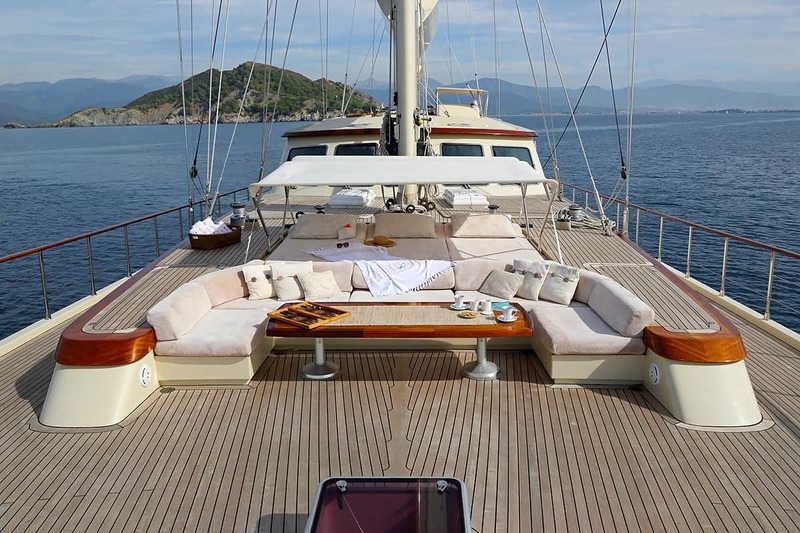 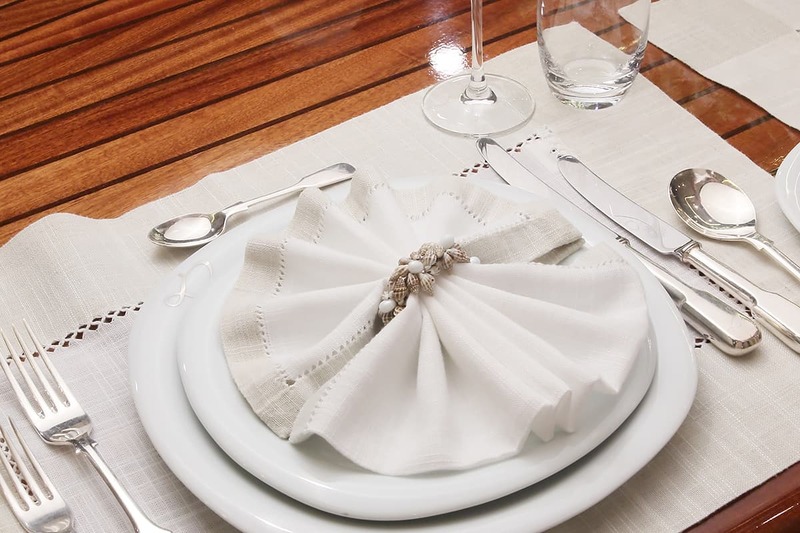 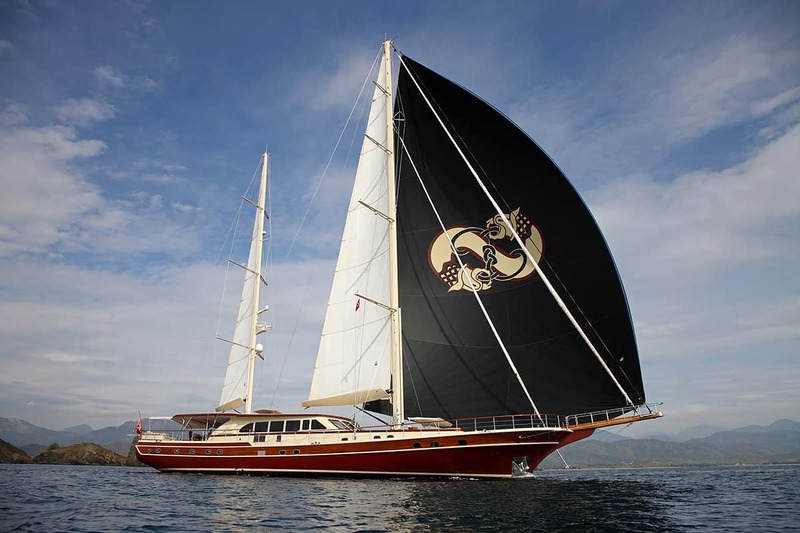 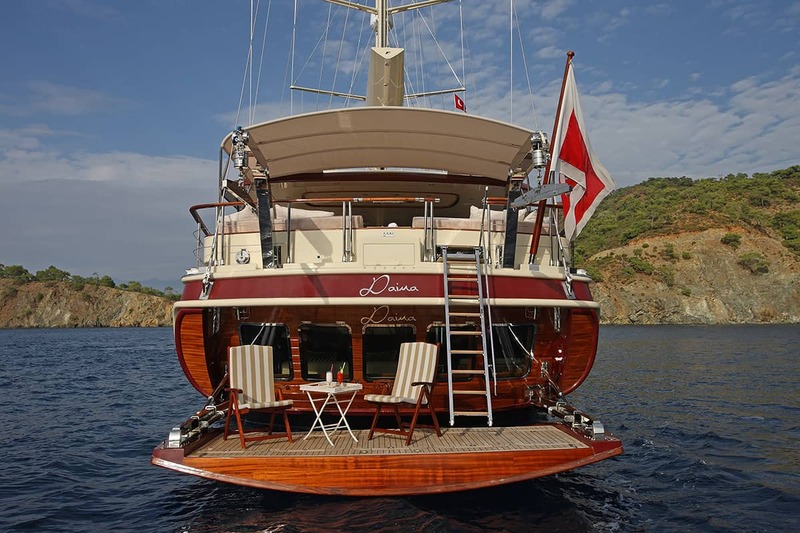 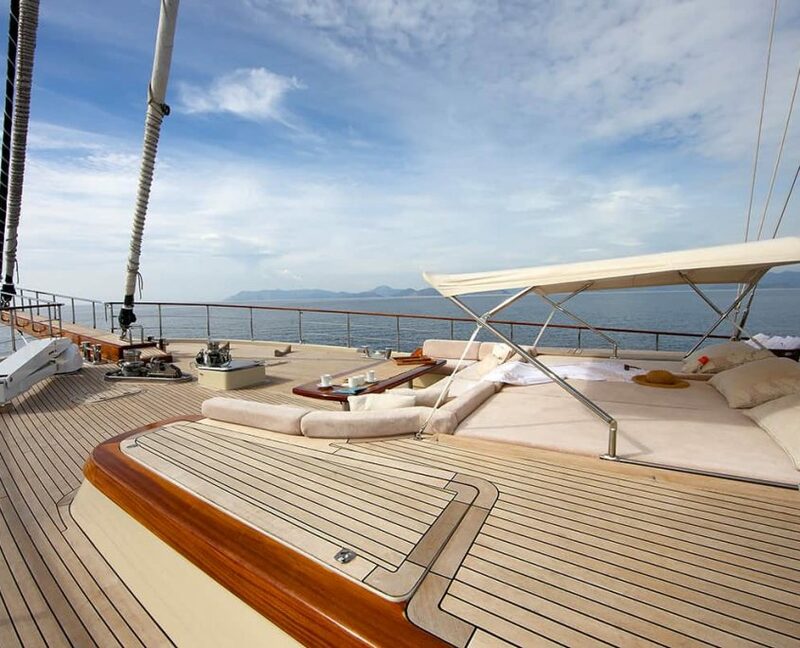 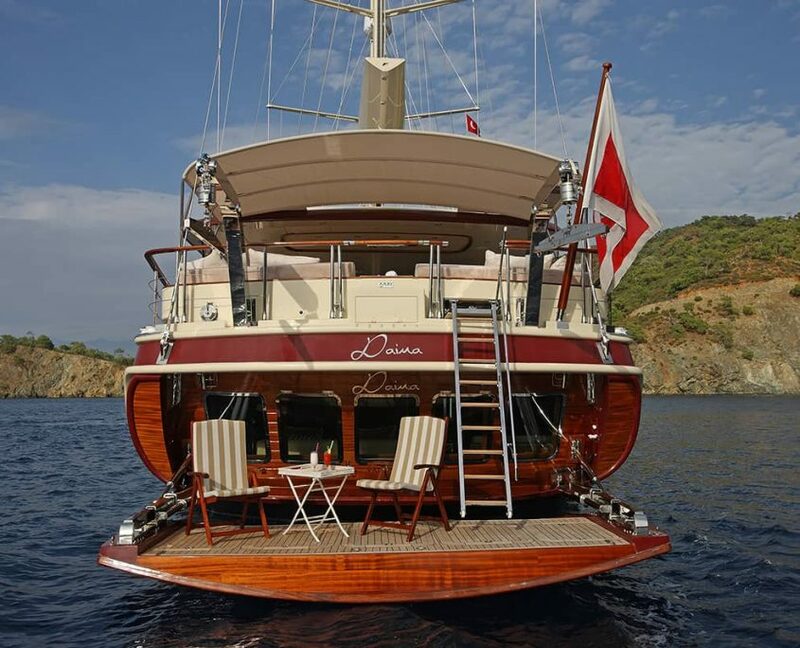 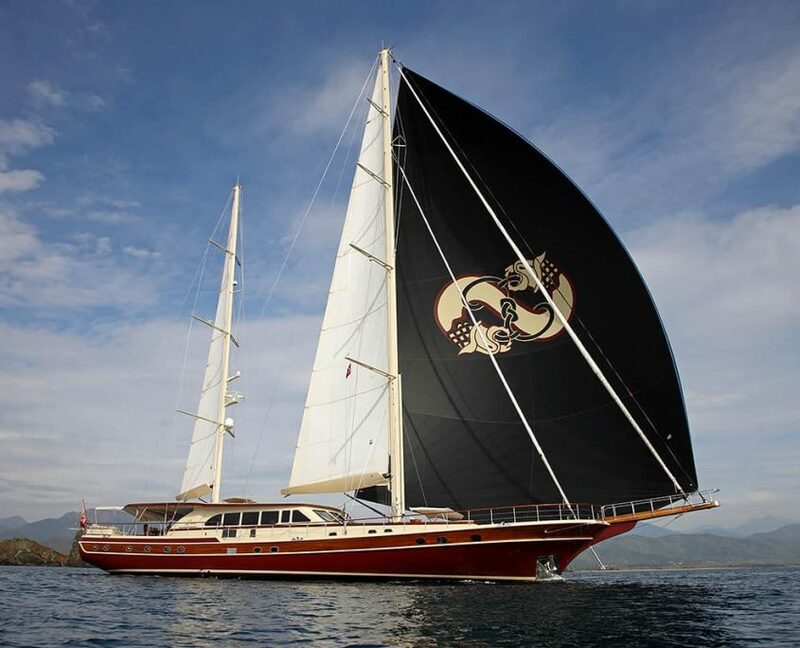 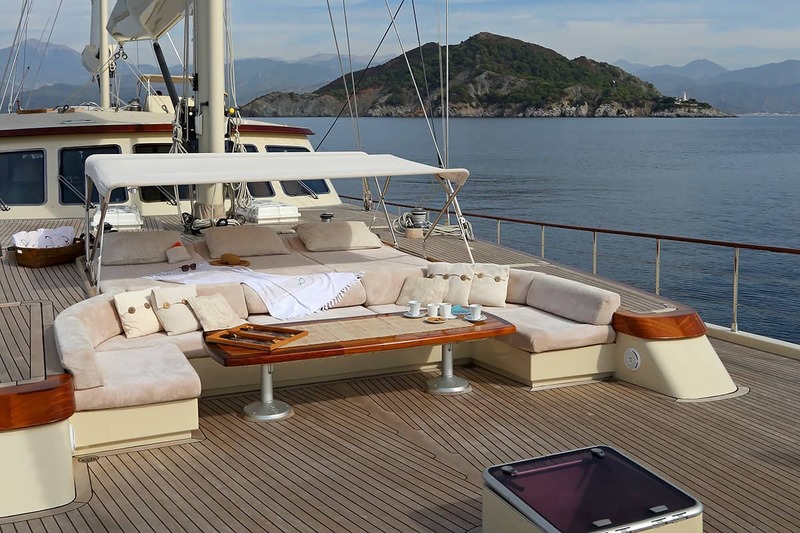 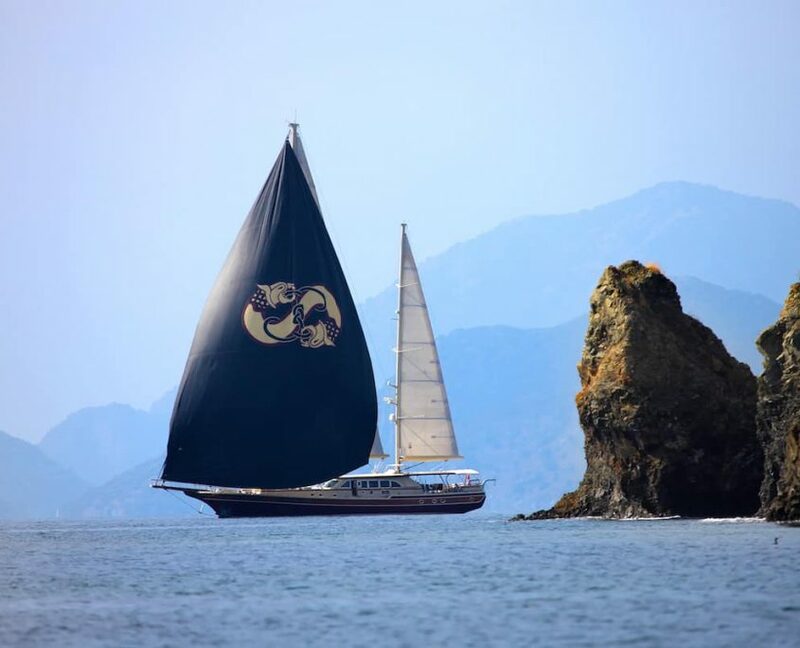 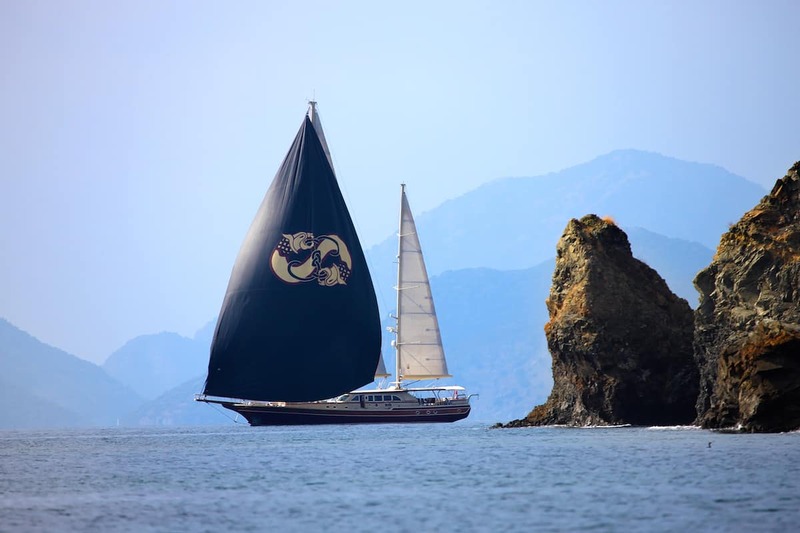 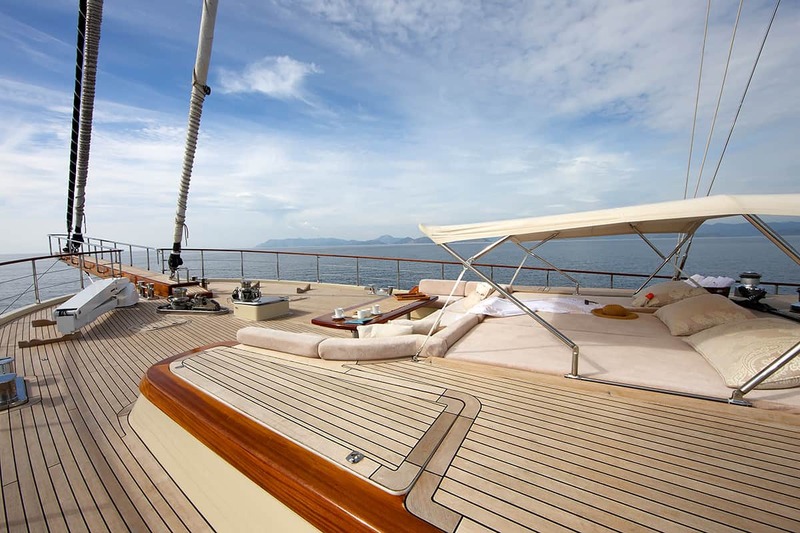 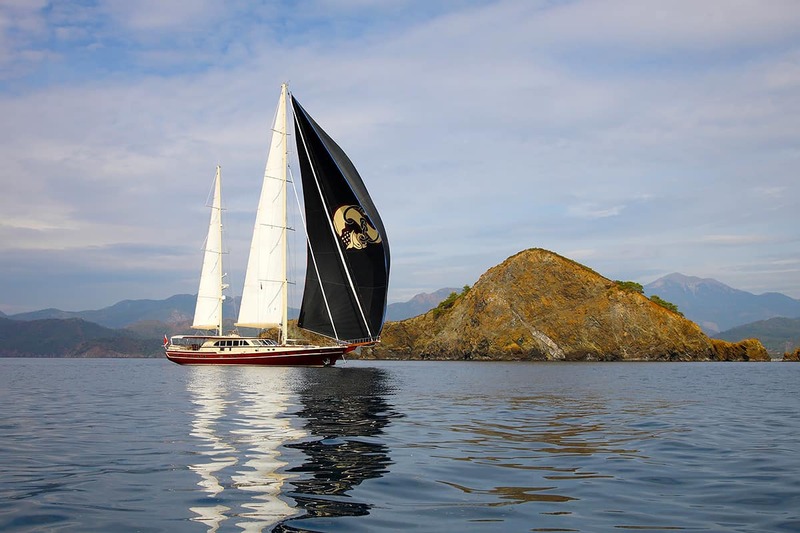 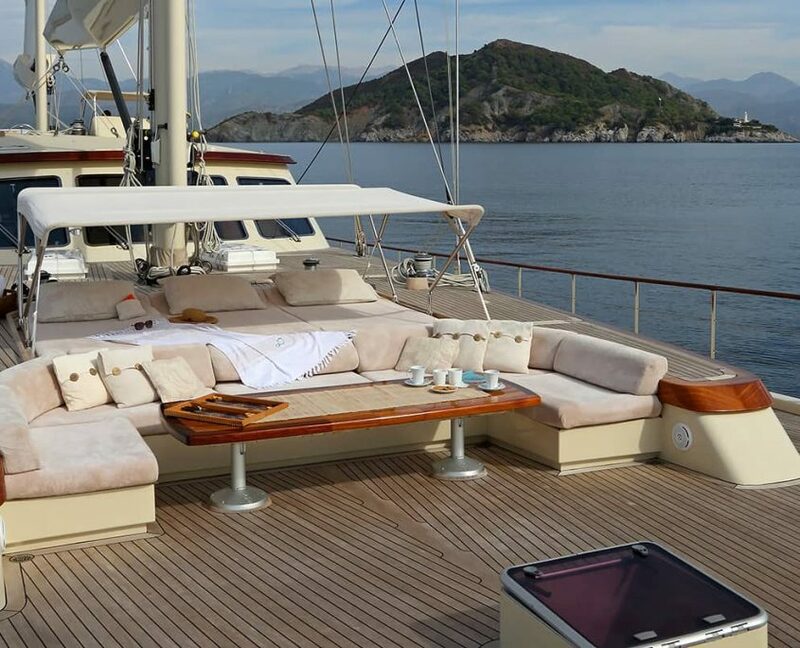 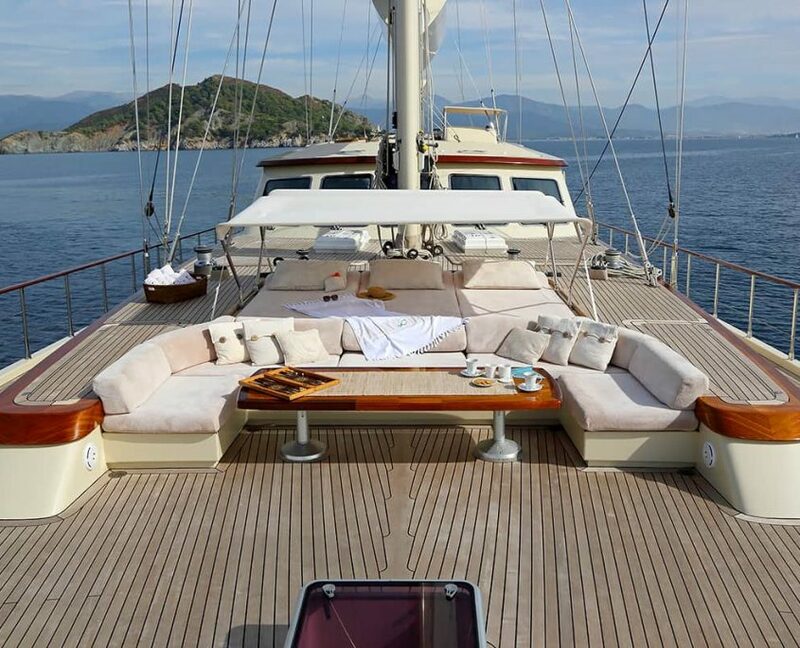 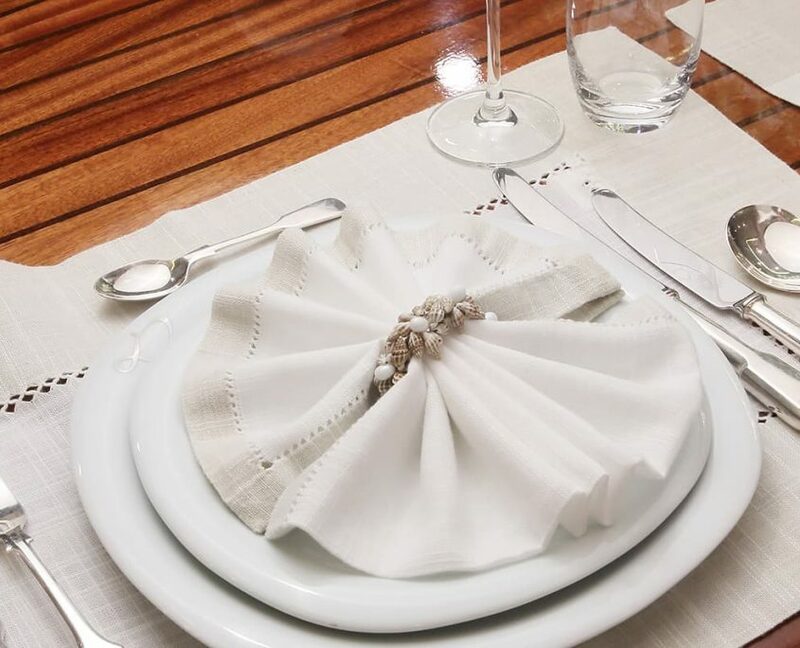 Daima is a sailing yacht constructed from the finest materials. 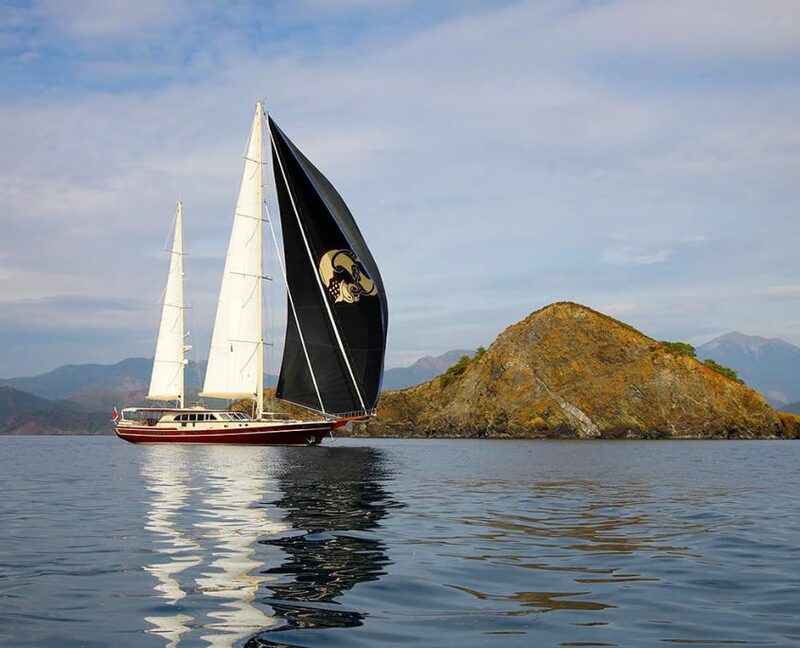 It can sail comfortably when close to the wind. 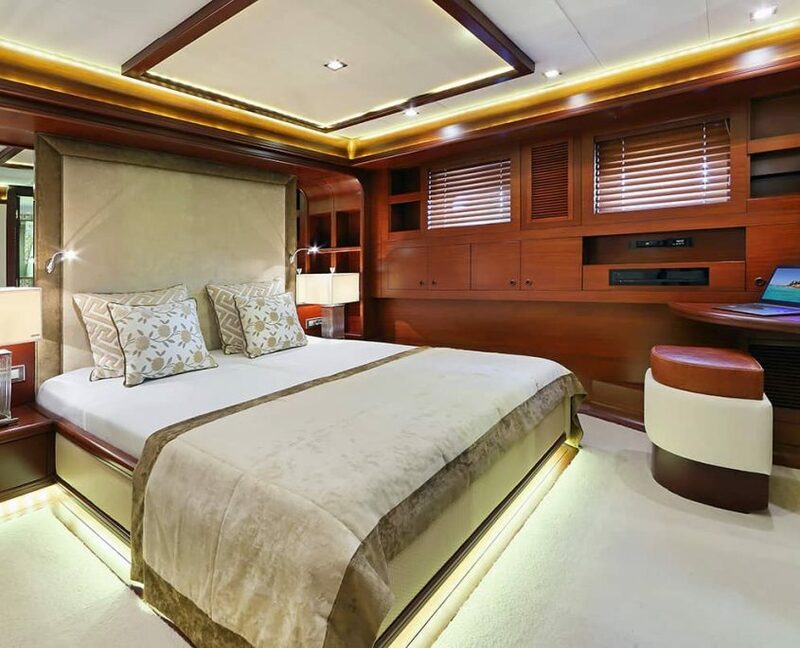 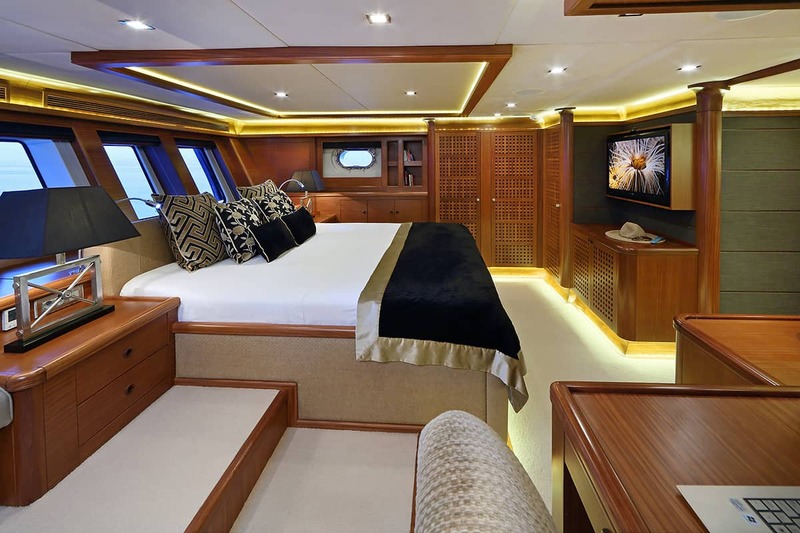 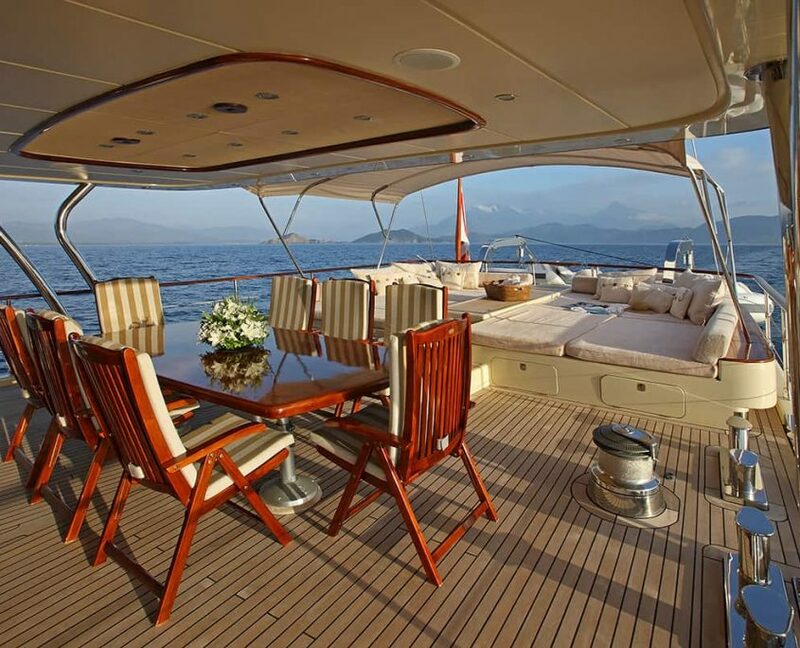 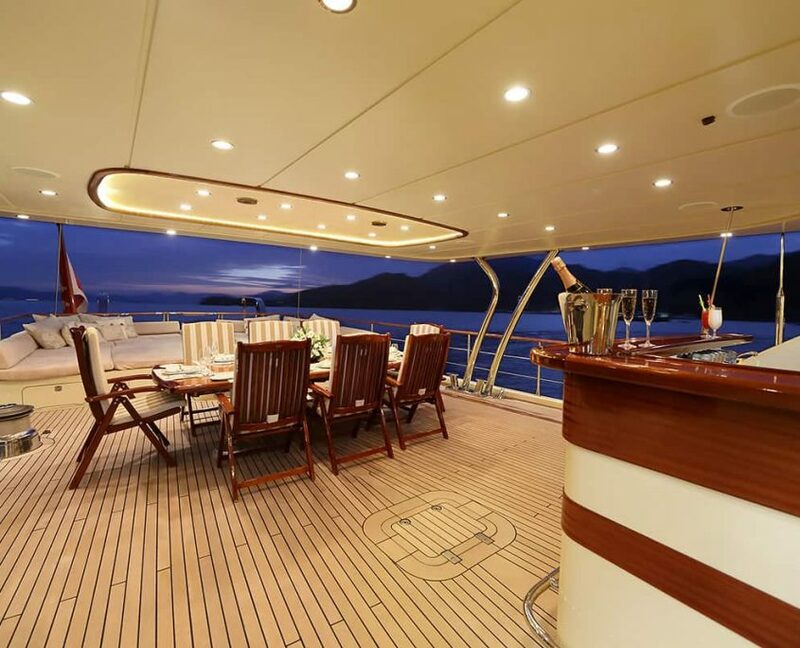 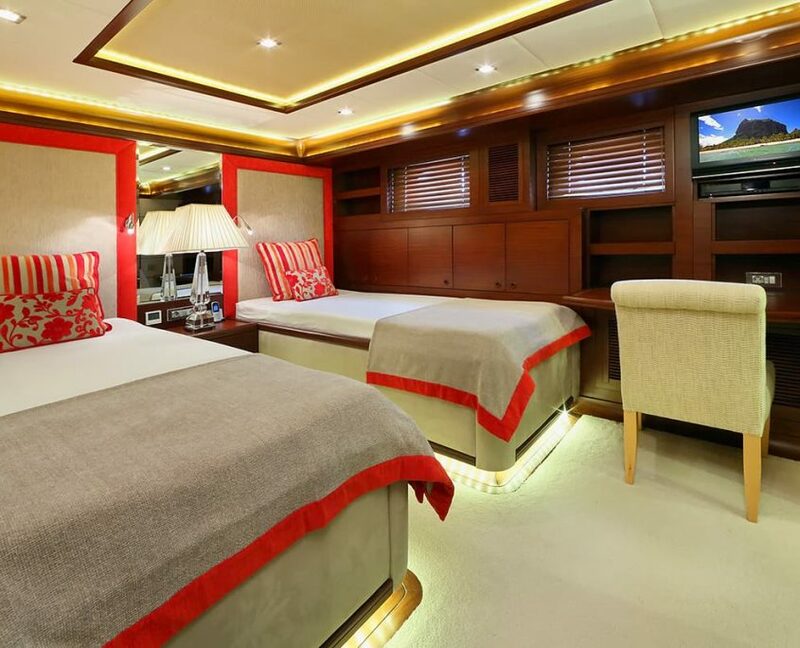 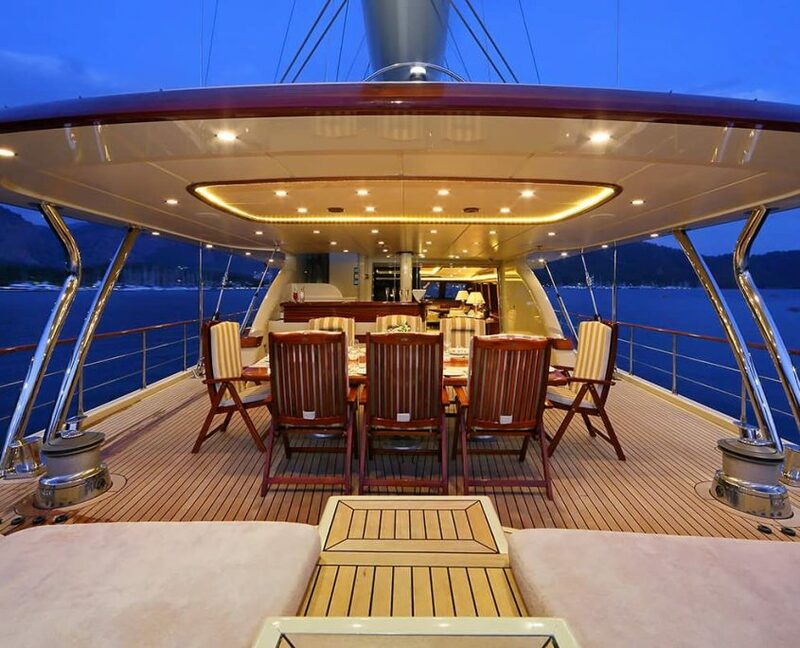 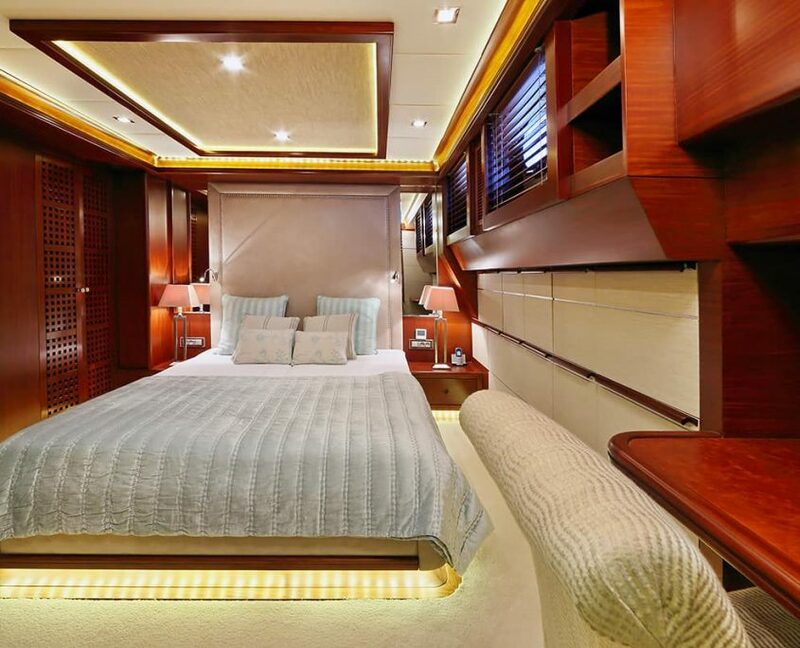 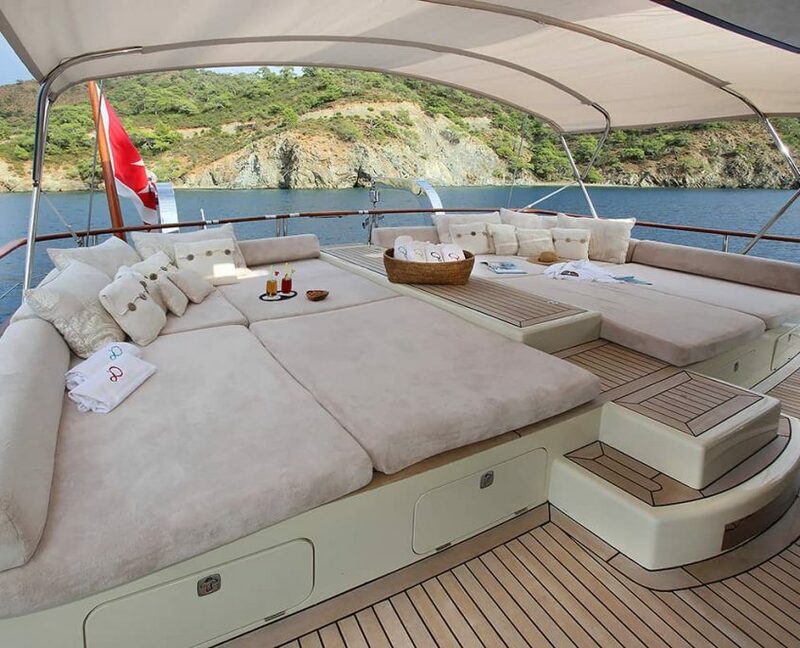 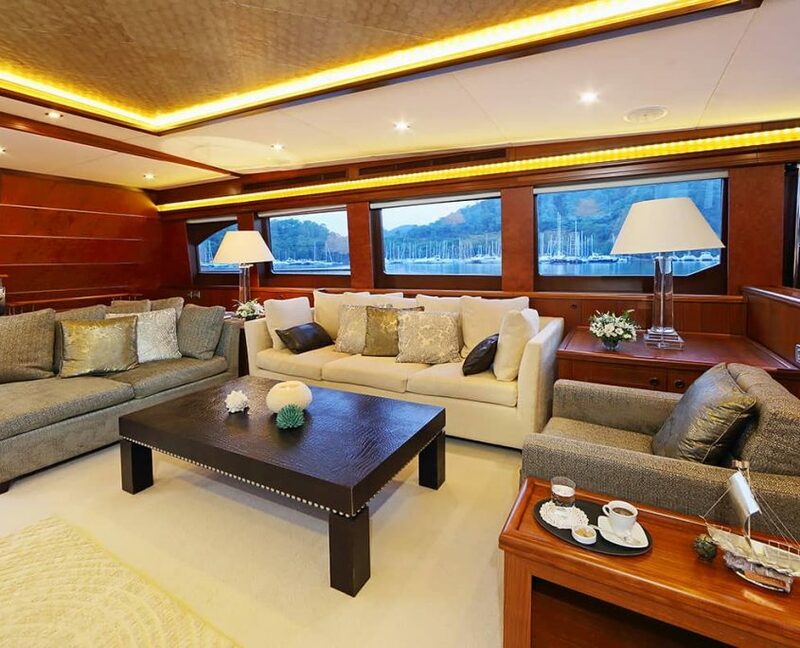 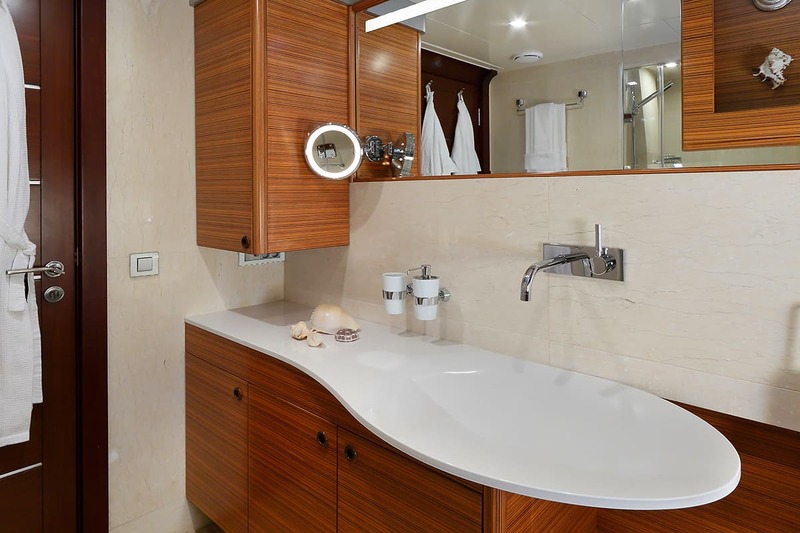 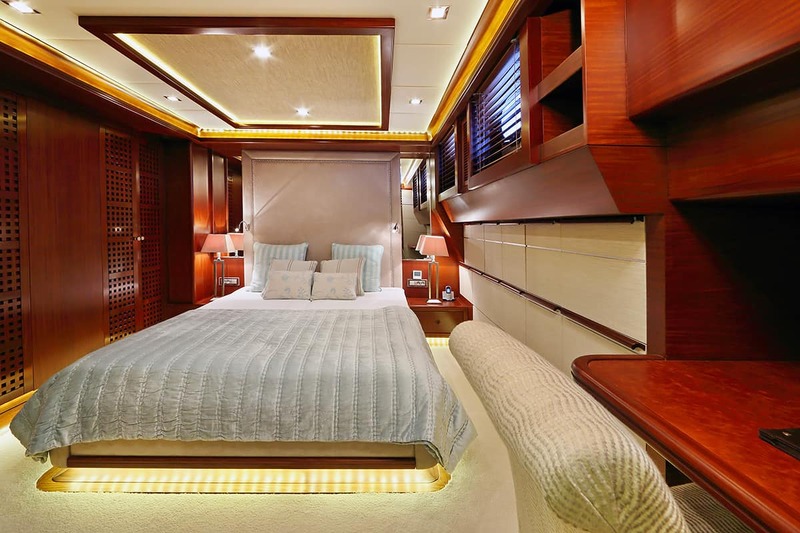 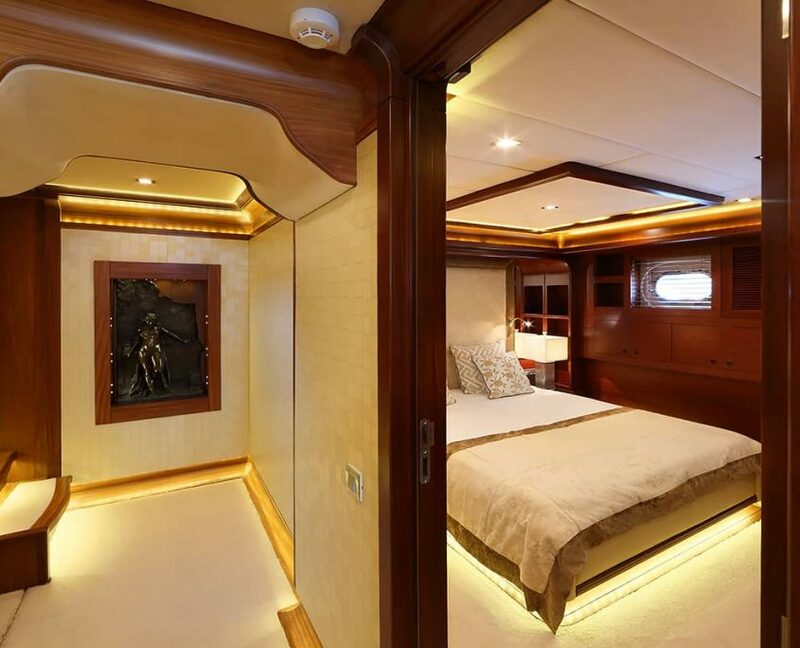 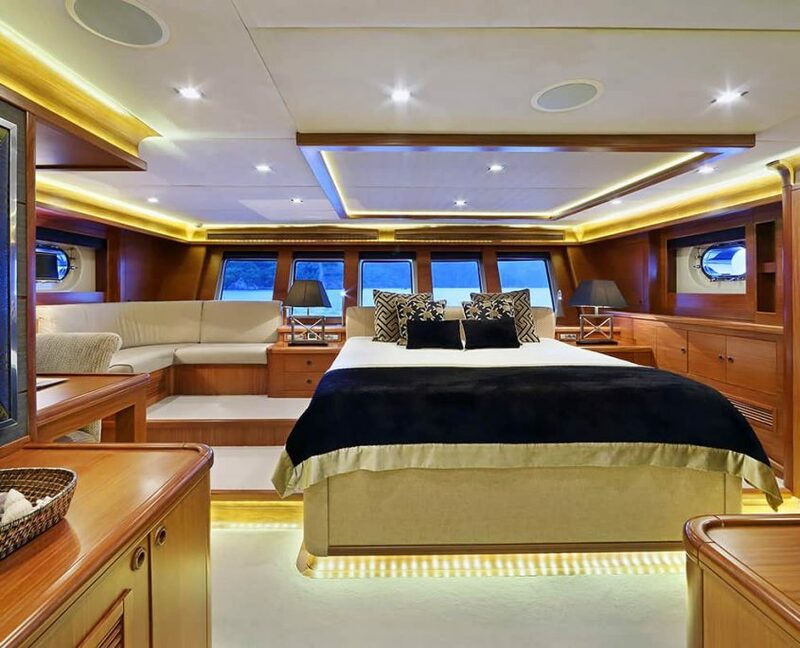 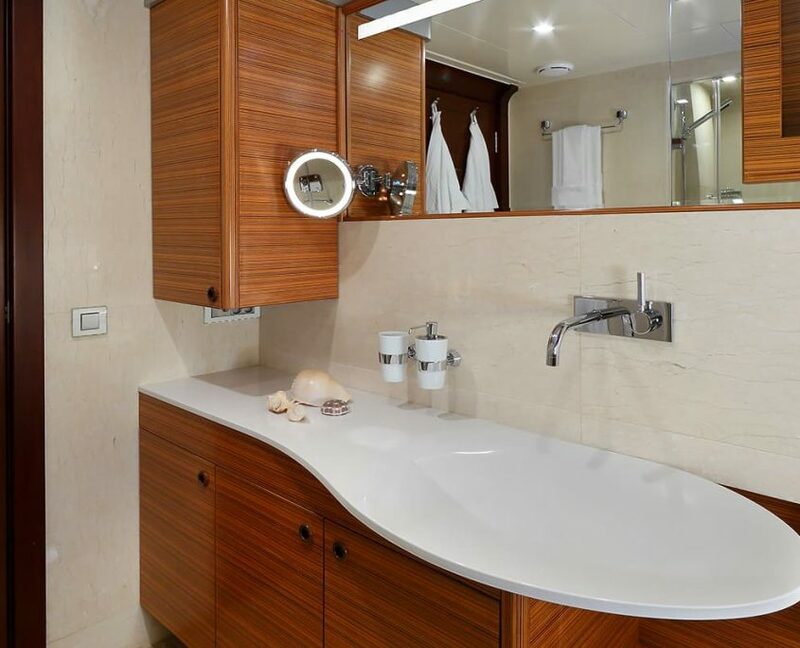 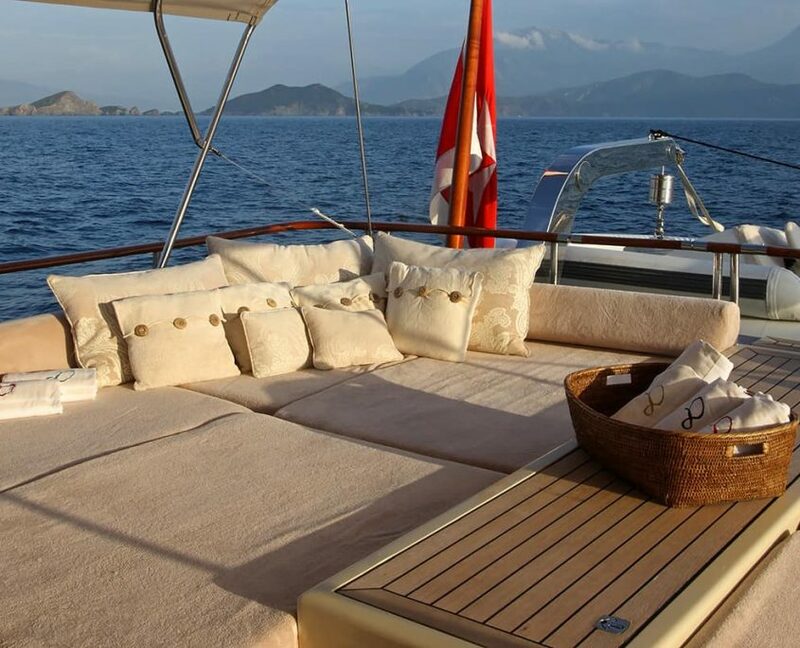 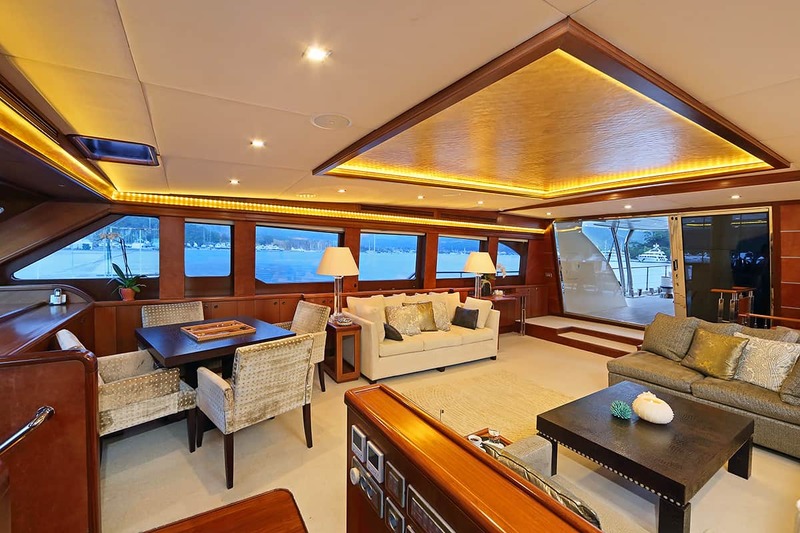 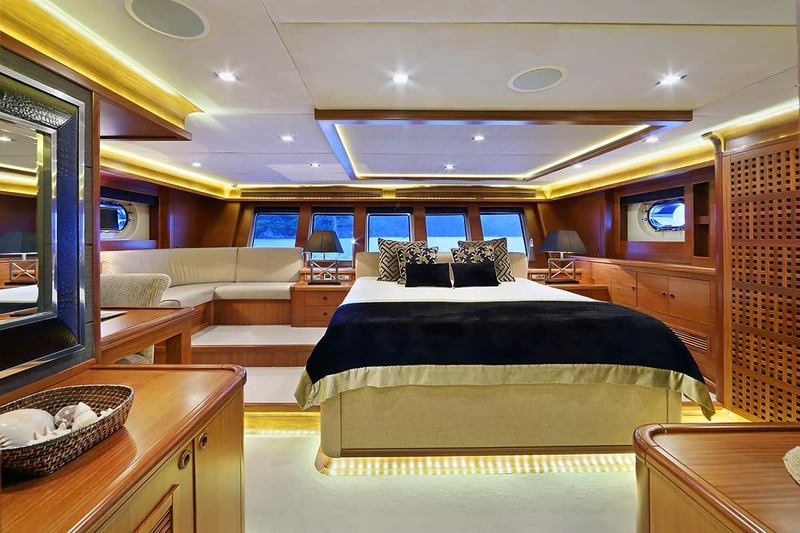 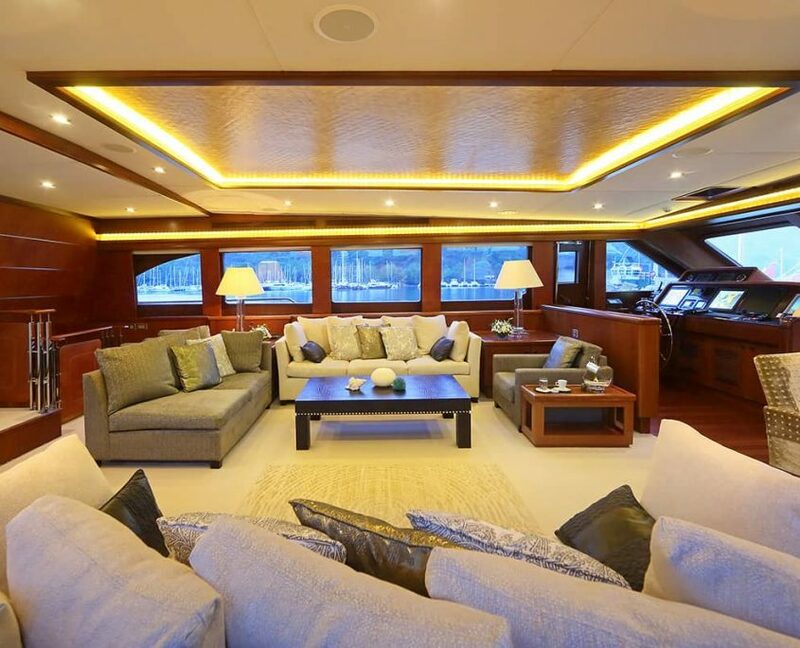 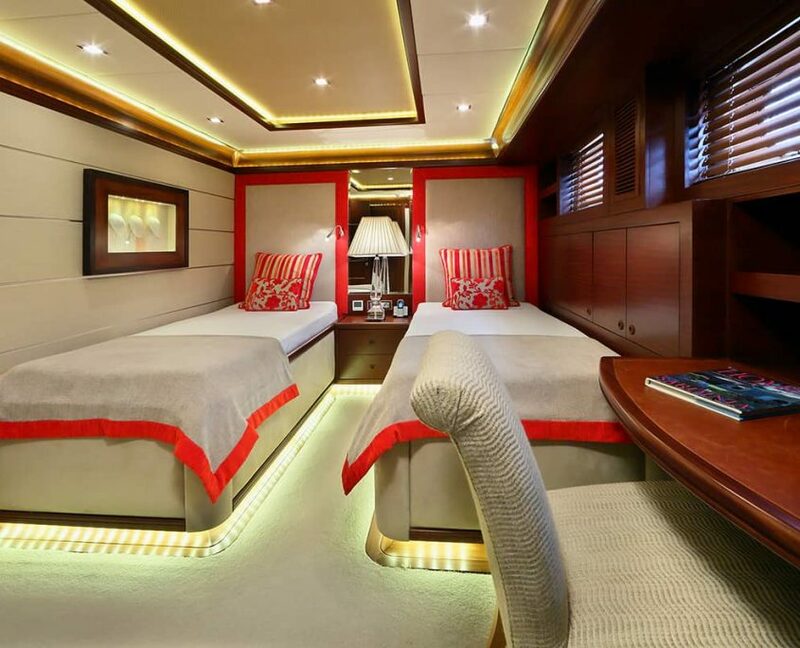 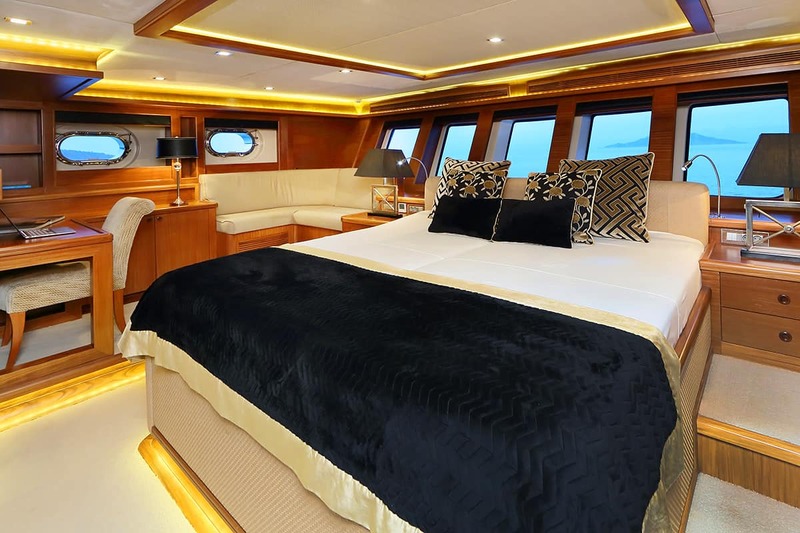 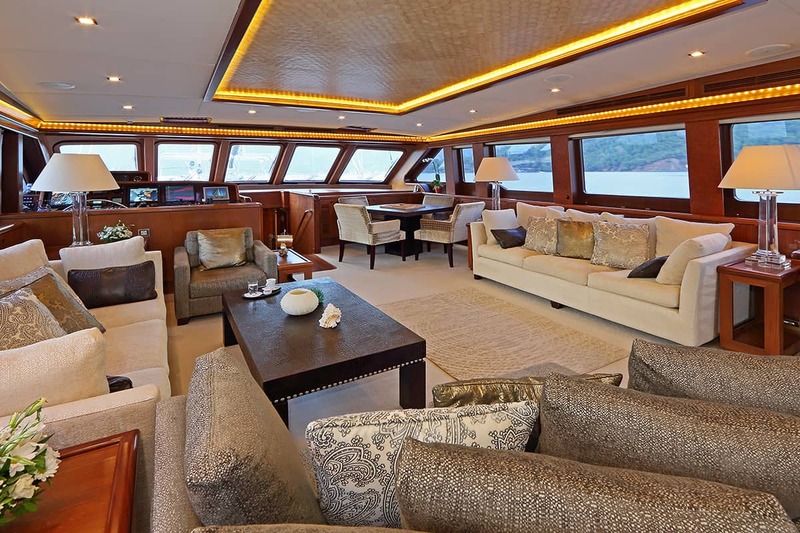 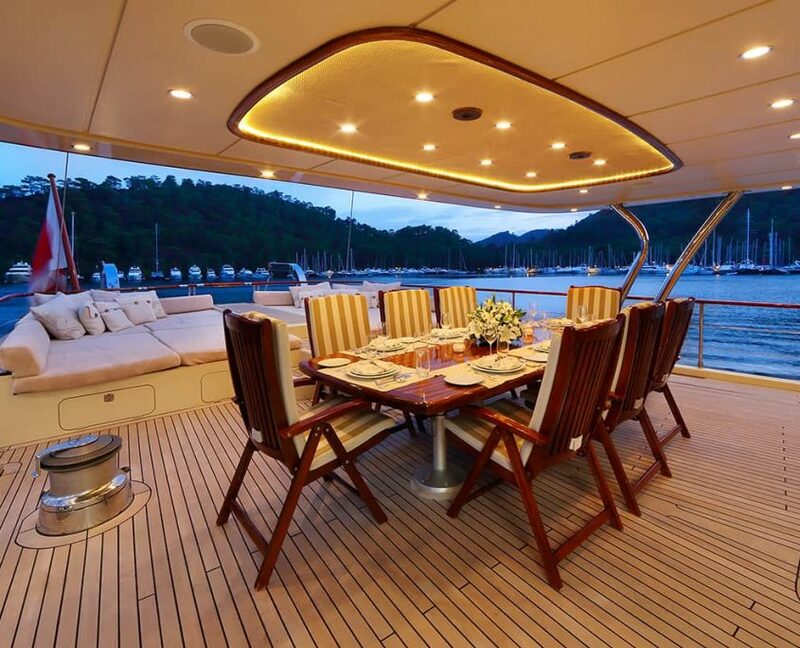 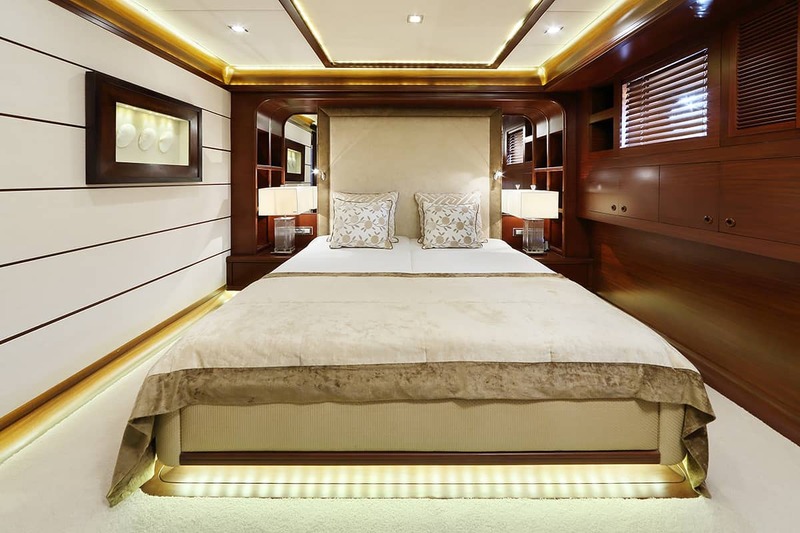 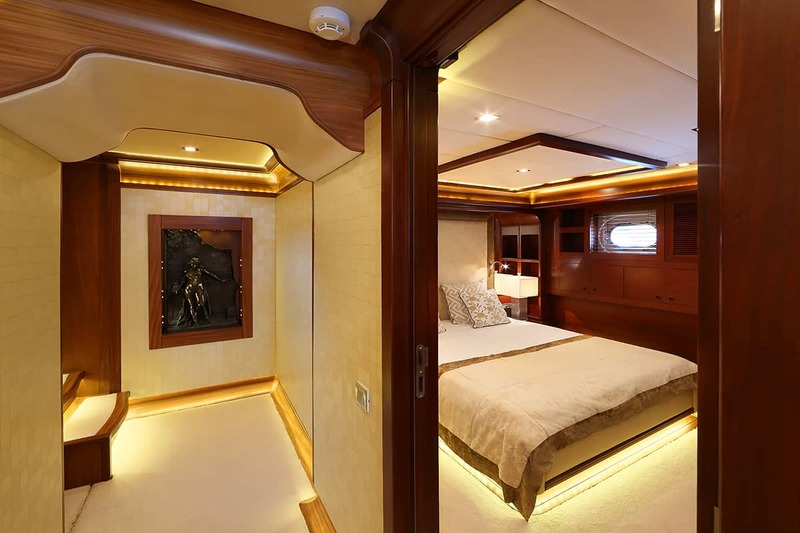 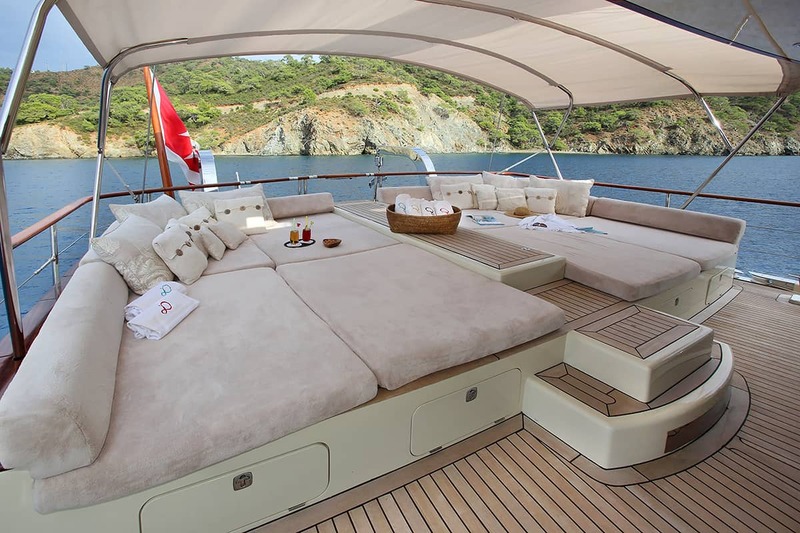 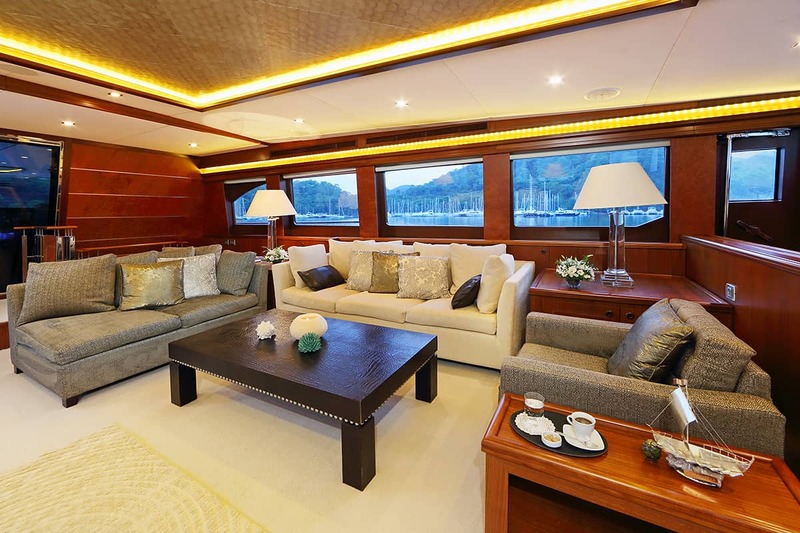 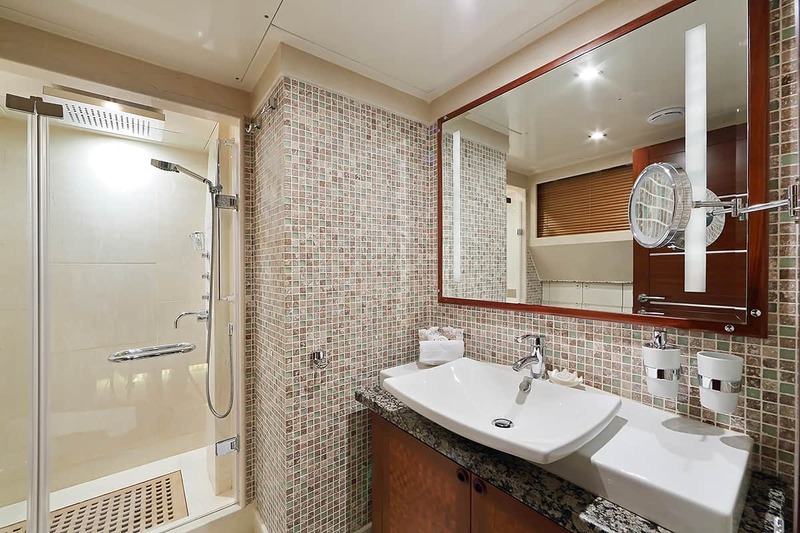 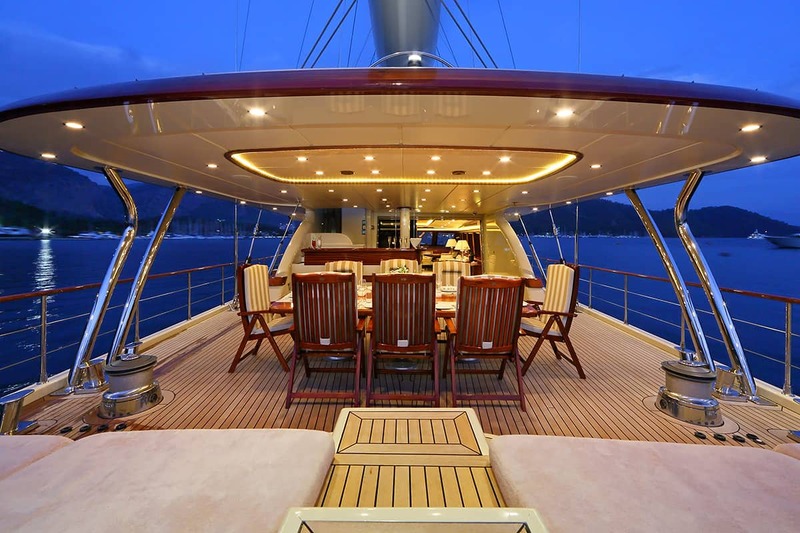 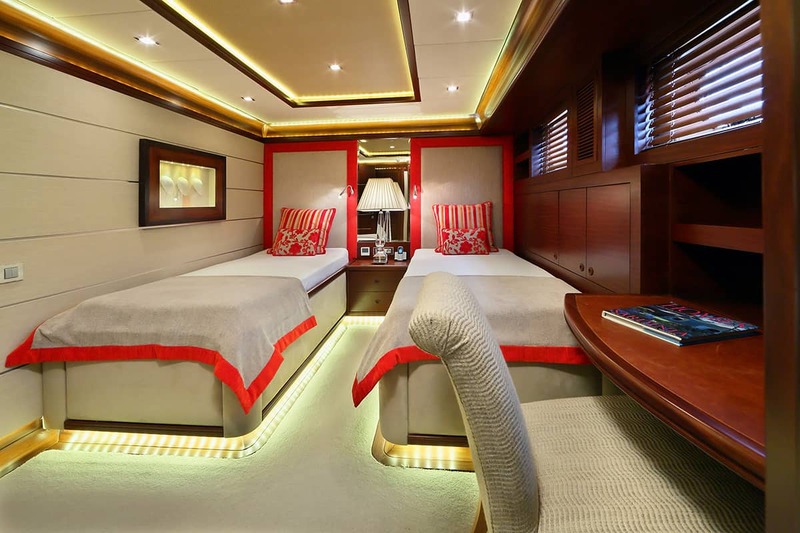 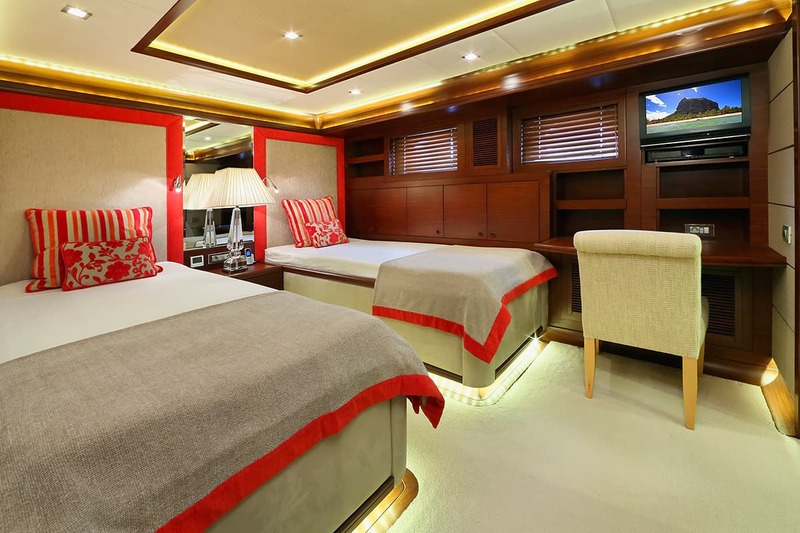 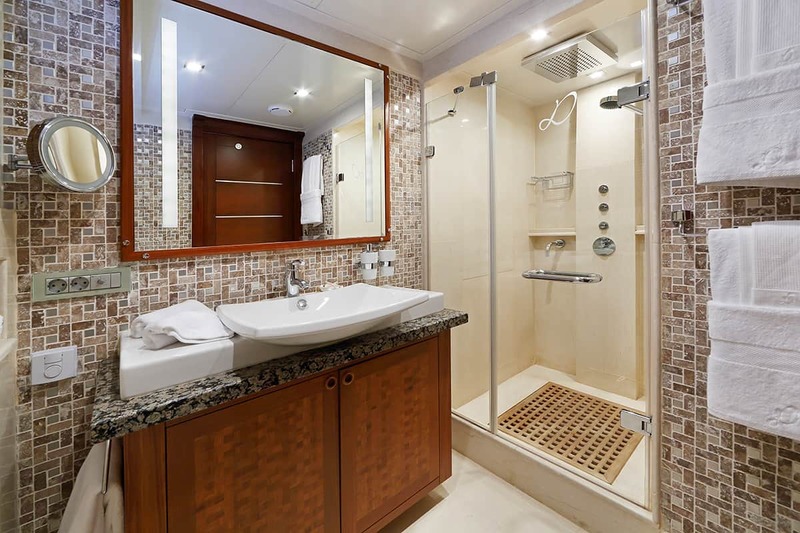 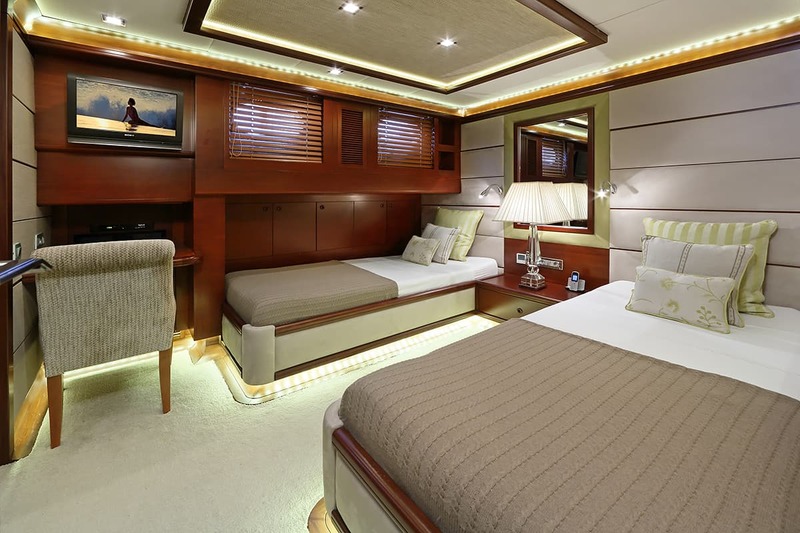 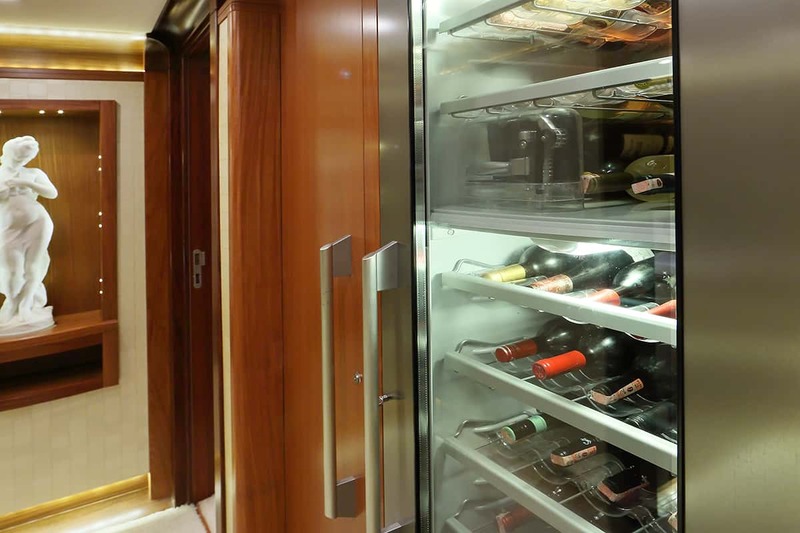 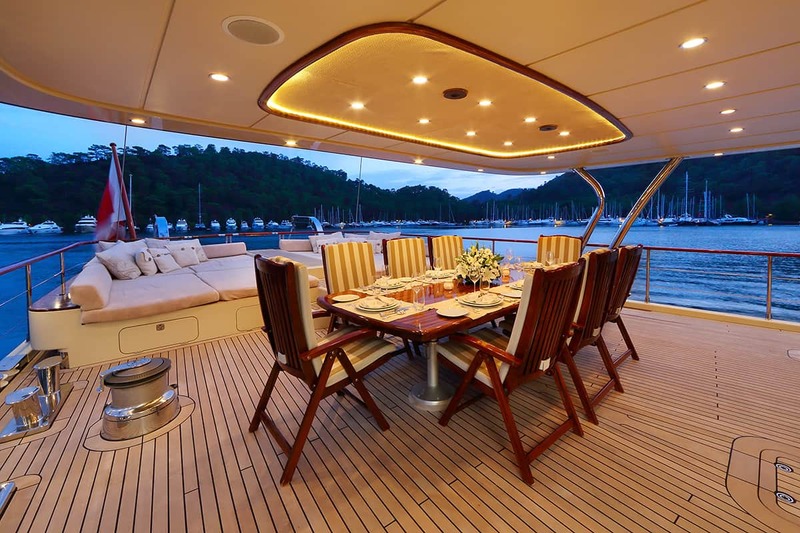 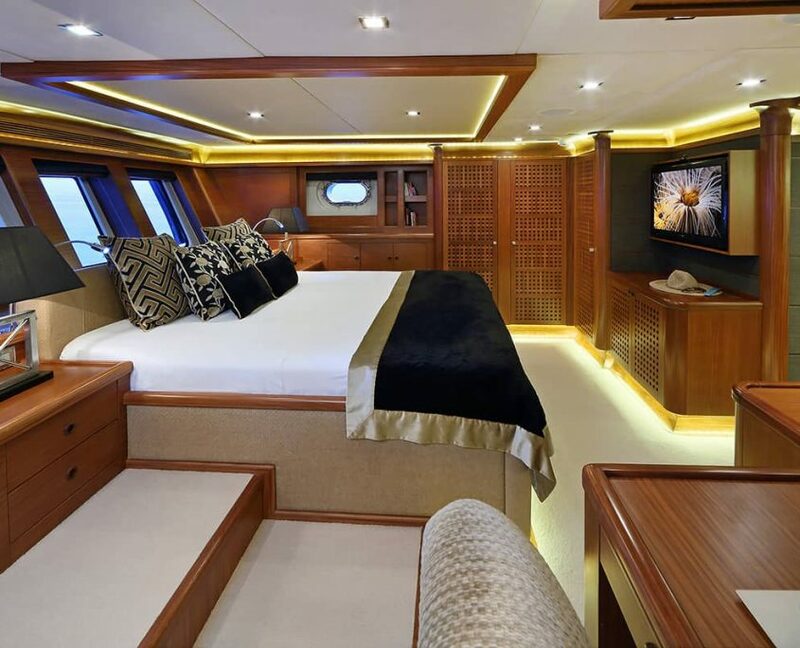 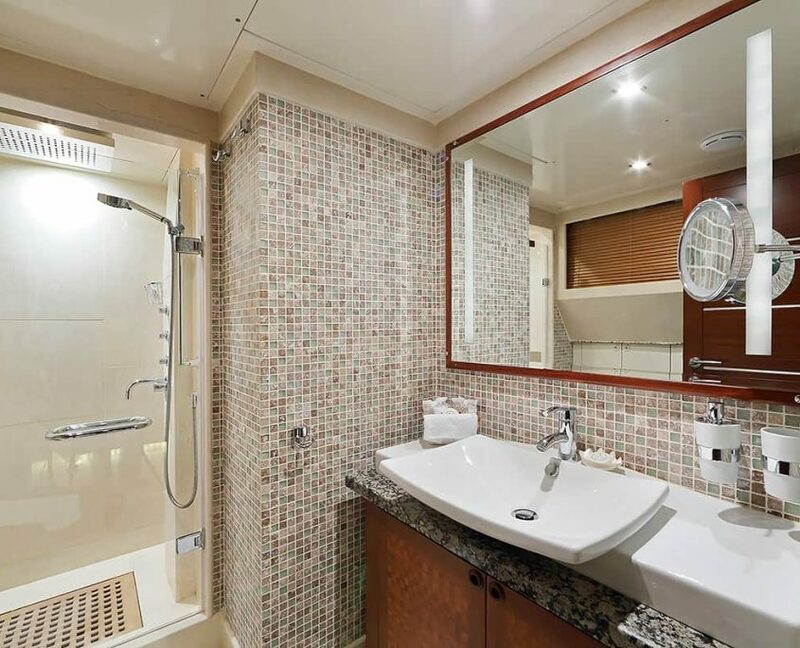 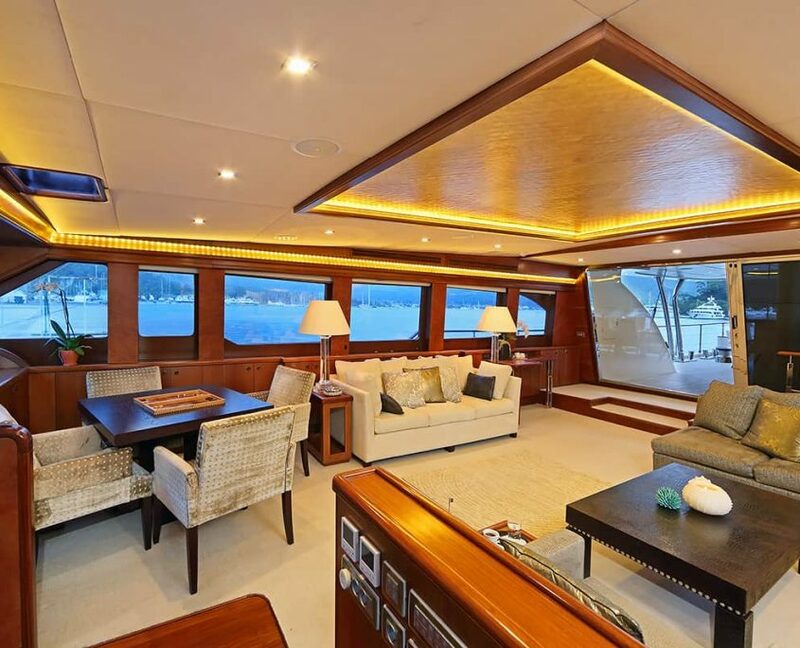 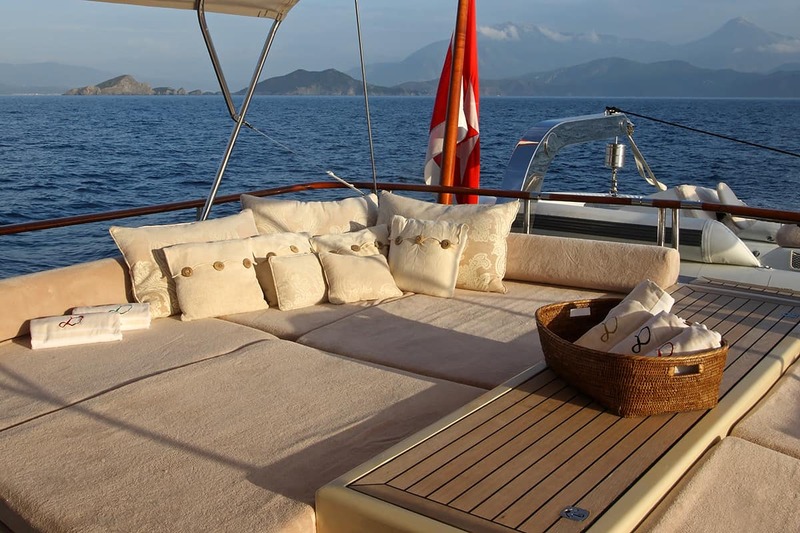 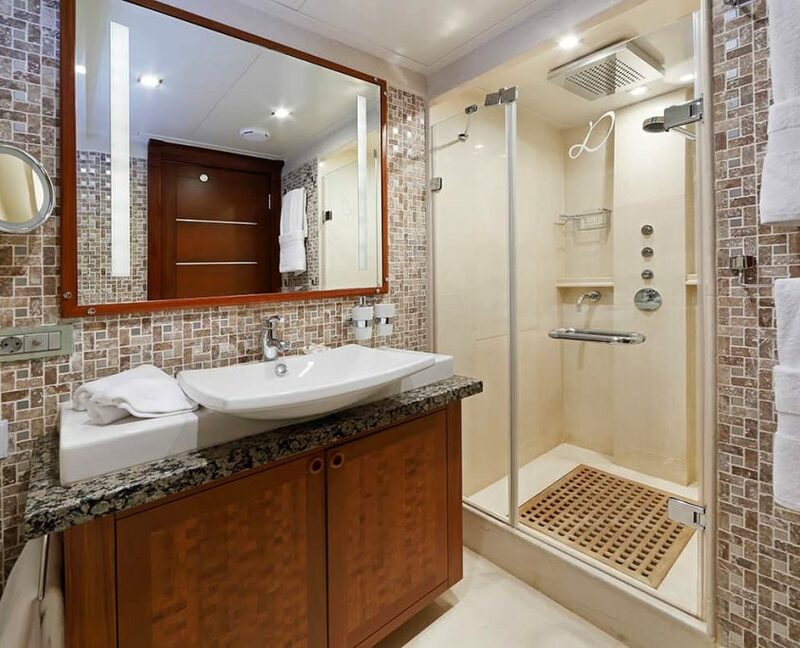 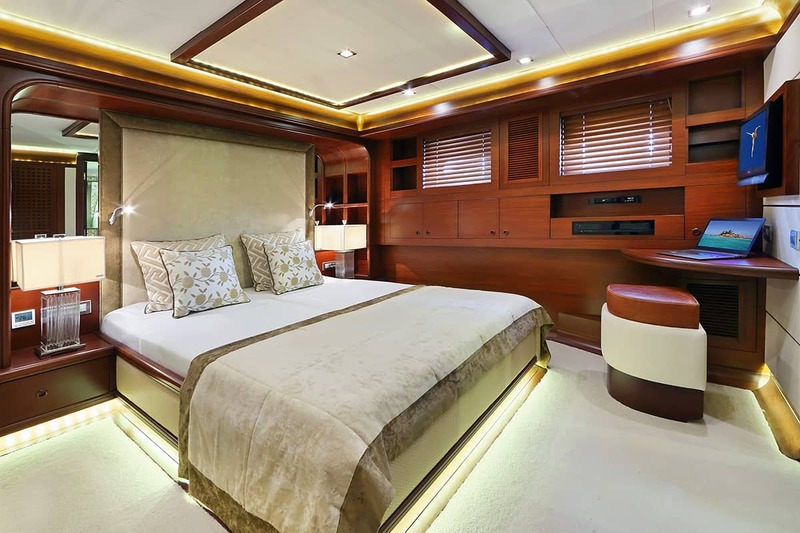 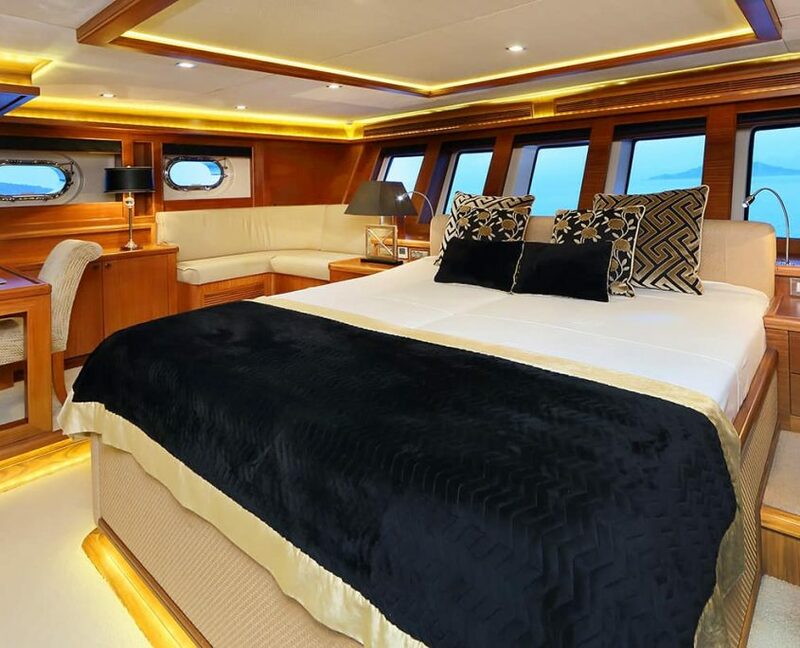 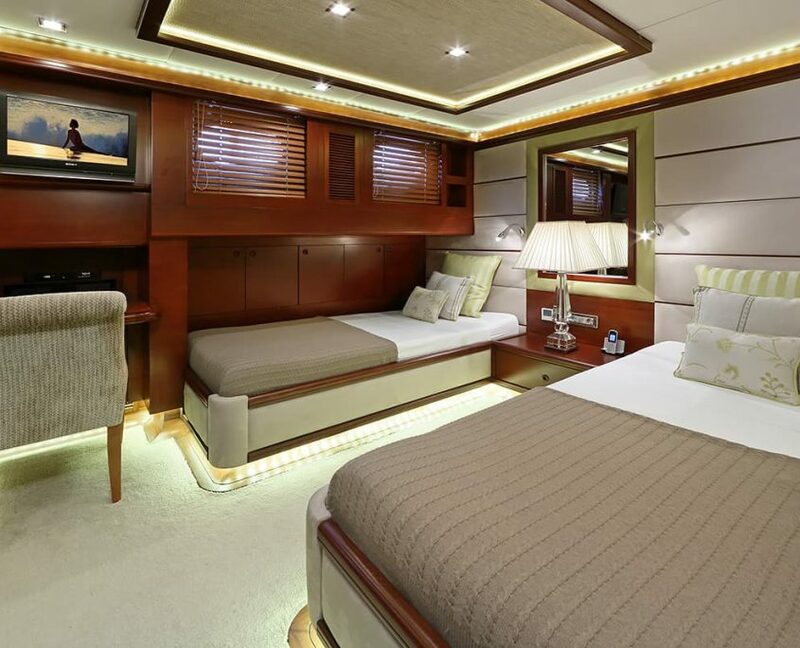 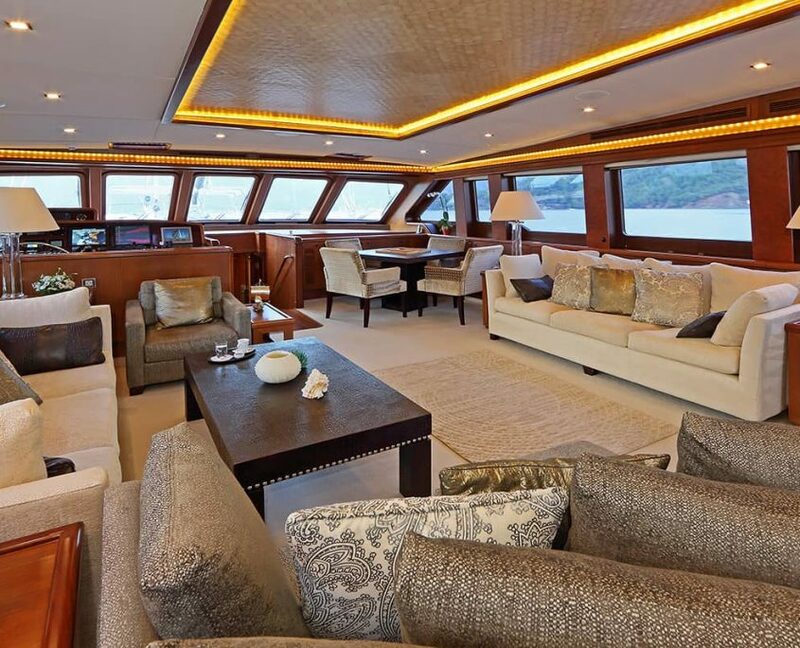 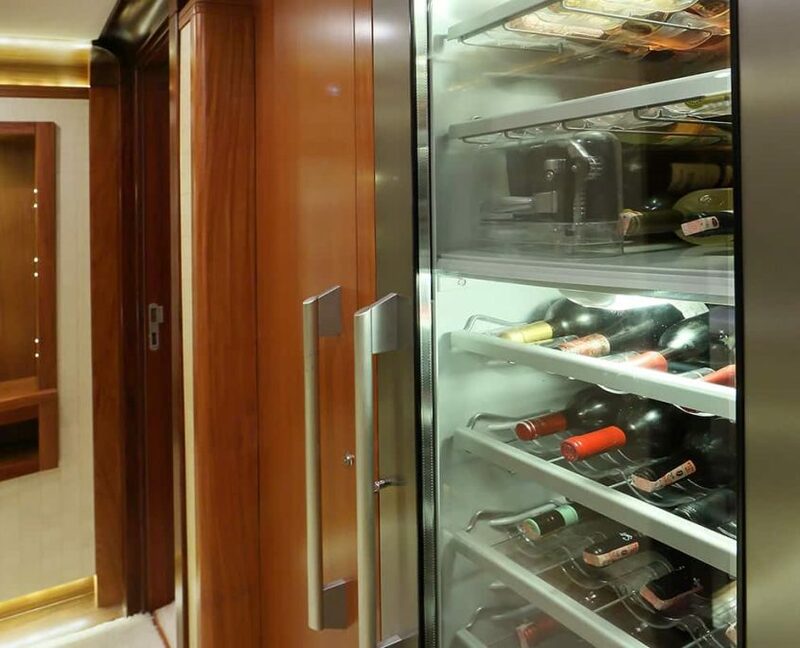 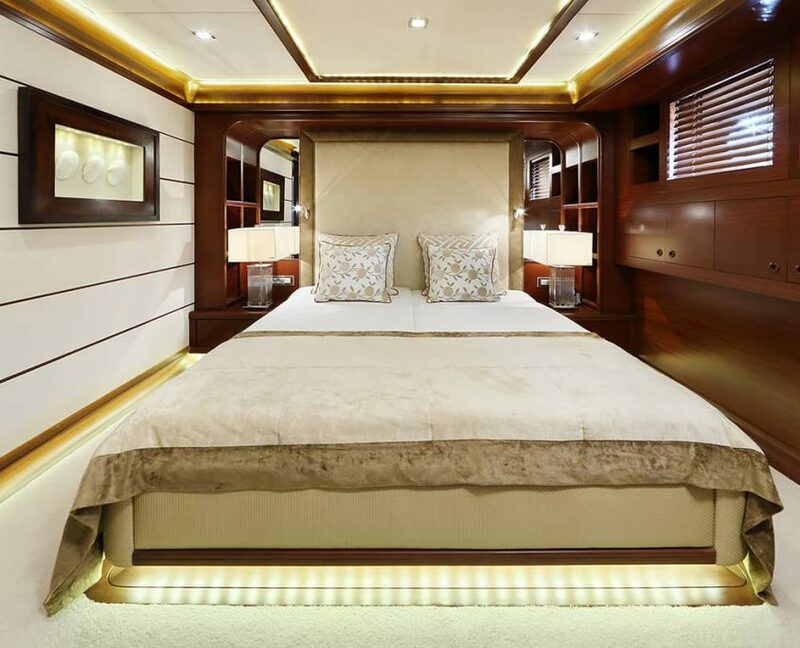 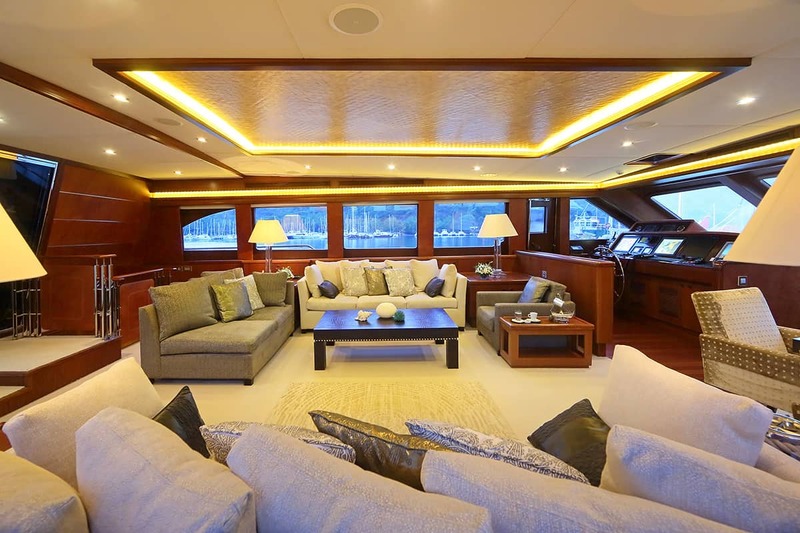 It has 5 cabins (Master cabin, 2 Double cabins, and 2 Twin cabins) that can accommodate 10 guests. 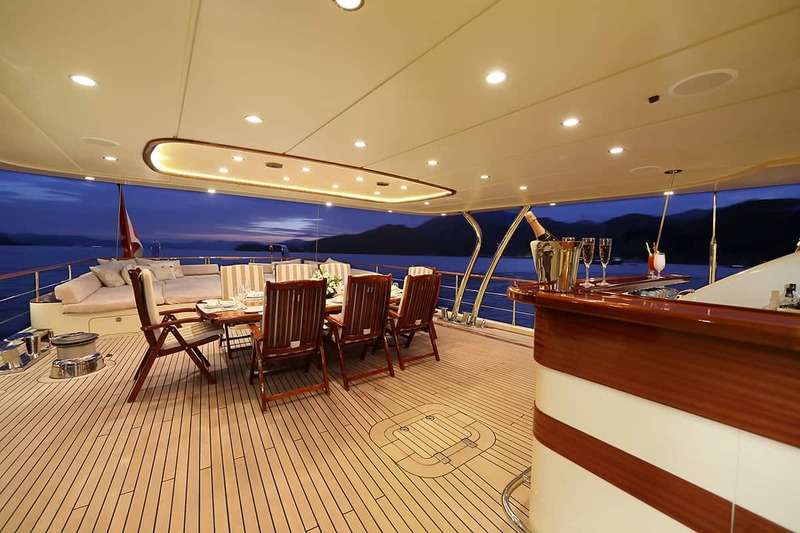 There will be 7 crew members at your disposal during the cruise. 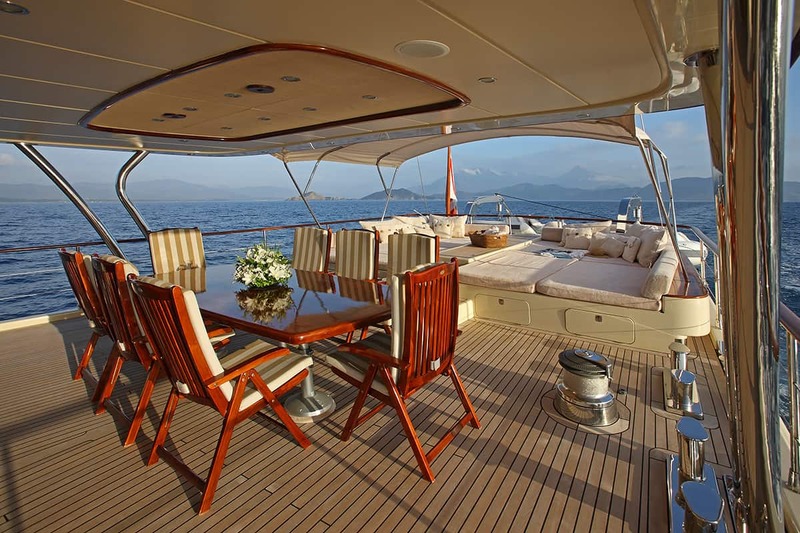 You have a vast selection of watersports to choose from.